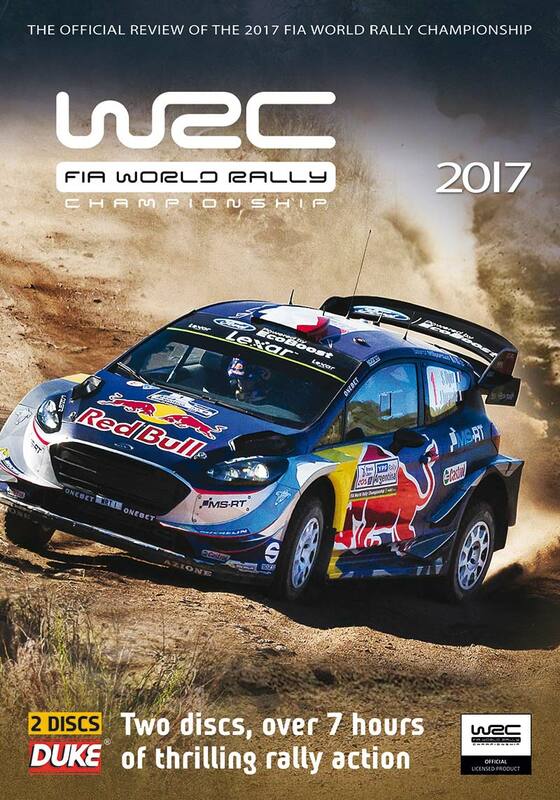 The world’s best rally cars … some of you may be thinking that none of them are that great, while others may know the secret … rallying and rally cars will just blow you away – they’re technical, fast, loud and jump higher than a Mexican jumping bean, so what’s the deal? 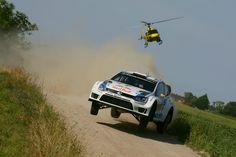 You see, a rally car is still designed to get from Point A to Point B the fastest, just the same as most racing series’. The difference is that it takes an incredible route to get there … smooth shiny marble-like surfaces aren’t needed here; mud, gravel, trees, ice, snow … whatever you can throw at it. 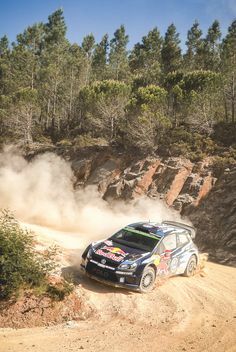 When you think about it, rallying has been around since the invention of the motor car … it only takes two people to wonder whose car is the fastest off road and you have a rally. This isn’t about being the fastest car in the world, it’s more about being reliable, fast and able to take a huge amount of punishment. It’s widely accepted that the first rally (as we’d know it) dates back to around 1911 – the first Monte Carlo Rally event. 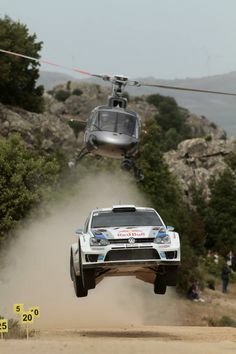 Although it was more about attracting wealthy motorists to the area than being a sporting event, nevertheless, it was the groundwork for an event that still happens (and is one of the most popular) today – the ‘Monte’, which is a stage of the WRC or World Rally Championship. 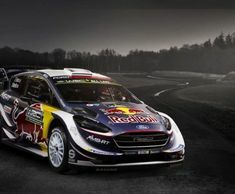 Today we have the WRC, which brings in all the top talent, but the cars seem … tame … compared to bygone eras – perhaps the most brutal rallying and rally cars were the Group B classes, which saw fire-breathing monsters developed especially for rallying, produced in low numbers with a crazy amount of horsepower … around 650 bhp wasn’t unheard of. (And don’t forget, this is the early-80s that we’re talking about, when 650 horsepower meant proper business). Today, 650hp doesn’t seem that much – you can buy factory warrantied, standard production cars with more horsepower, but thirty years ago, it meant huge turbo chargers that had a powerband the width of a cigarette paper and suspension that was essentially heavily modded production units – these cars had a reputation as killers, for good reason. I couldn’t write an article about the world’s best rally cars without having at least a nod toward the drivers. 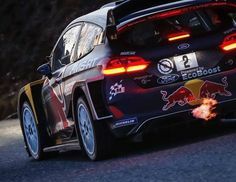 Yeah, F1 drivers have talent, but the rally boys … it’s no surprise that many of the F1 drivers hone their driving skills at the wheel of a rally car, rather than in any other form of motorsport. 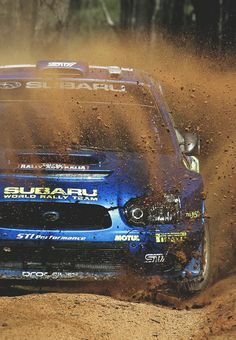 To give you an idea as to what sort of commitment it takes to be a world class rally driver, rather than one that ‘competes’ … I used to do a few rally days, mainly just for fun, I was never good enough to compete. One day, I got talking to a guy that owned the land where a few of the top rallying teams (at that time) tested. 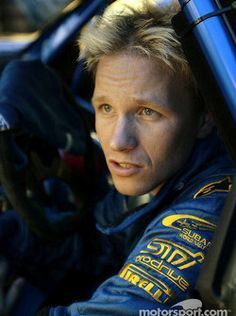 He’d been out on passenger rides with all of the top drivers … Carlos Sainz, Tommi Makinen, Richard Burns, he loved every moment of those rides. And then he had a chance to do the same with the legend that was Colin McRae. Before even reaching midway through the stage, he’d vomited. He tried to tough it out for longer, but got so scared that he asked, no, demanded, that Colin stop the vehicle and let him out, he was done. Remember that although Colin knew the land pretty well, he was driving without a co-driver, so probably around 8/10s of what he could do. Gifted lunatic. And that tells you everything you need to know about rally drivers …bravery, commitment & speed with the ability to dance on the pedals like Fred Astaire on amphetamine. Co-drivers play their part too – a great rally driver is only as good as his co-driver, and you tend to find that there’s a partnership that builds up over a number of years; the team getting to know each other, know what they need and when they need it makes them formidable. Another Colin McRae story … while driving a stage at night, fog bound (so I assume it was in Britain! ), McRae switched off his lights and relied solely on his co-driver’s pace notes, not only did he not crash, he went on to set the fastest stage time overall. Like I said earlier, the modern versions are still fast and noisy, probably set faster stage times than the old school versions, but they just seem a little sterile to me … 300ish horsepower, better suspension, modern tires … yeah, it’s still a spectacle when they’re flat-out through a section, but they’re not Group B. 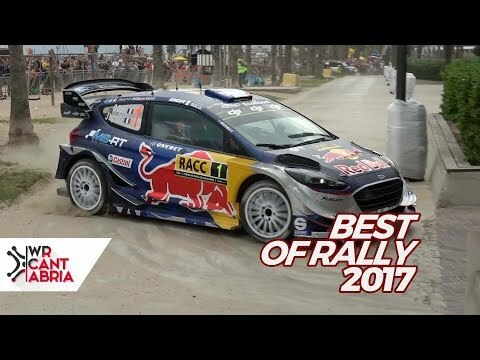 So here’s my list of the best rally cars, starting with my favorite first. When I was around 19, I was working for race company specializing in big V8s, a customer pulled in to the parking lot in a road going version of the RS200, I was blown away. I’ve wanted one ever since. The magic is that Ford built the RS200 from a clean sheet design – they wanted to show off what they could do. As a result, the style was unique, nothing came close to the look of the fast RS, and Ford didn’t just want it to look right, it had to be fast. A number of the engineers involved with the project were all either employed in the Formula 1 circus, or had just left, so they knew a thing or two about chassis technology, handling and weight-distribution. The RS was considered to be the best balanced platform in the Group B era, despite that, it never really found the success that FoMoCo were hoping for; best finish was 3rd in the 1986 Rally of Sweden. Power came from a Cosworth BDT 1.8 liter four-cylinder with a single turbo, it was rated around 450hp in race trim (the road going version had around 250hp). However, Ford planned on an evolution for the 1987 season, with power coming from a 2.1 liter BDT-E Cossy engine, this would see it raise to anything from 550hp through to a giant-slaying 815hp. The problem was that Group B was so dangerous, that the authorities banned it for 1987. Dependent on gearing, the RS200 could hit 60mph in just around 2 seconds, that’s partly down to power, but also the composite bodywork was extremely lightweight, and the RS could plant the power to the road using a full four-wheel drive system, which ran from the mid-engine, through to the transmission upfront and back to the wheels – it was a complicated system. All in, the Ford RS200 wasn’t the most successful Group B rally car, but there’s just something about it that gets my heart thumping every time I see one. Audi weren’t unheard of, and they certainly weren’t one of rallying’s title contenders, but things changed … the Quattro was the first world championship rally car to take advantage of the recently changed rules, allowing teams to use four-wheel drive (Quattro means ‘four’ in Italian). The Quattro changed rallying forever. Up until Audi started showing dominance, most of the teams were happy using rear-wheel drive, believing that the lighter, less complicated (and less power-sapping) layout would always win out against the heavier, complicated four-wheels drive systems. With a swift lesson in weight distribution and horsepower, Audi took the fight (and the drivers titles) in 1983 & 1984, with Hannu Mikkola and Stig Blomqvist respectively. The engine had been slightly redesigned and de-stroked to come in under regulations for 3.0 liter (a formula of 1.4 for turbo cars), so the 2.1 liter, 5 cylinder turbo engine made around 591hp in its final incarnation – coupled with a 4WD system that Audi had finally got working right meant that it was formidable on the rough stuff. With upgrades like composite Kevlar bodywork, and even going so far as to mount the oil cooler under the rear wing, Audi had finally got the Quattro working as they intended. I’ve included on this list, because this was the car that really did change the game … this is why everyone now uses four-wheel drive systems, Audi just beat them to it. Another Group B pocket-rocket, only this one seemed a bit more tame – with ‘just’ 350hp on tap (with a weight of 2,160lbs), this little Pug set the rallying world alight – 1984 saw three championship wins, 1985 there were 8 and in 86, a further 6 … this is the car that was responsible for showing Audi where they were going wrong. It was an all-wheel drive, 1.8 liter 4 cylinder motor, the T16 designation coming from Turbo and 16 valves. With drivers such as Ari Vatanen and Juha Kankkunen, the team was developed with a ‘cost no object’ attitude, headed up by one Jean Todt, who went on to oversee Michael Schumacher’s successful career as an F1 driver, and then as president of the FIA. The 205 T16 was THE most successful rally car of the Group B era, although it’s never really found much love … mention Group B and most people will talk of the Quattro or the RS200. One innovative feature of the T16 which found its way in to other forms of motorsport was the ability to lift the whole of the rear bodywork off, meaning servicing times were greatly reduced, and easier. Another innovation, was the anti-lag system for the turbocharger – anti-lag was being used in F1, nowhere else, and Jean Todt and the engineers incorporated it into the 205. 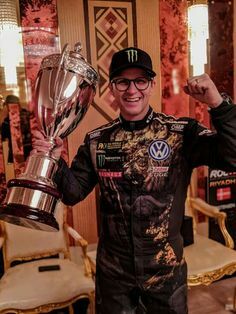 As to whether it made that much difference, who knows, but it shows you that Todt et al were looking at it from every angle possible, and they obviously succeeded. If Ferrari had made a supercar for off roading, this would be it. In fact, the Stratos was powered by a Ferrari Dino V6 motor, and looked just like the Italian supercars of the day, only a little more rugged, some people have even named it the best looking rally car of all time. It was designed by Marcello Gandini, who was working for Bertone, he’d also designed the Lamborghini Muira and went on to design the Countach … some pedigree there. The key to the Stratos wasn’t ultimate horsepower, although by 70s standards, it wasn’t lacking … in its most potent form, it made 320hp, although when the rally organizers banned the 24-valve cylinder heads, it was maxed out at 275hp – still not exactly asthmatic for the day. This thing was designed for one thing only – to win word rally championships, and it did – three to be precise, 1974, 75 and 76. And the winning didn’t stop there – on a good day, it was still lively enough to win the occasional race, right up to 1981. 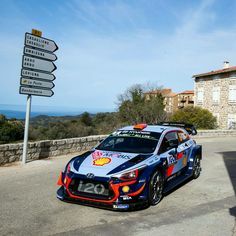 You have to remember that it was wild – keeping it in a straight line on tarmac was difficult enough, this was like the original drift car – it just wanted to go sideways everywhere, perhaps one of the most flamboyant cars that ever took part in the world rally championship, and that’s why it’s in the list of the best ones. No list of the best rally cars would be complete without the Mini Cooper. Yes, the teeny tiny car made famous by the Italian Job film, not only was it pretty handy on a rally stage, it won the Monte three times straight. In fact, the organizers got so … bothered … with the Mini that they actually excluded it from the results one year for a rule infringement. Cheating? Nope. The organizers found that the headlight bulbs weren’t the standard bulbs fitted to the homologated version. No bias shown there then. None at all. 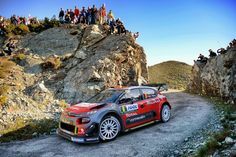 It’s hard to think of any car so unsuited to rallying – a small car, with small horsepower, running in a trim that wasn’t too far removed from standard. The key to the Mini wins was its nimble-ness – it changed direction like a fly and didn’t have too much power to put down on the loose surface, which meant excellent traction and driveability. If you knew what this pocket-rocket was based around, it would be a laughing stock … the Rover Metro was a sub-compact ‘shopper’ that was just dire in every respect; underpowered, poor reliability and ugly. The rallying 6R4 version was still pretty ugly, although some would say beautiful in a way, but just like the RS200 from Ford, it was designed to get the job done. The 6R4 (6 cylinder, Rally, 4 wheel drive) Metro had very humble beginnings. You may not have even heard of it unless you’re a rally aficionado, but perhaps you’ve heard of another car that has close links to the 6R4 … the Jaguar XJ220 supercar. Yes, really. You see, it was a development of the specially designed and built V6 engine from the 6R4 that went on to power the XJ220 to being one of the worlds fastest car’s. Of course, being Group B, the Metro rally car only really shared a similar(ish) profile to its road going counterpart, everything else was specific to the 6R4 – four-wheel drive, composite bodywork (aside from the roof, which was aluminum), V6 engine mounted backwards behind the seats (with the transmission pointing to the cabin), steel tubular chassis … it shared a name and the look. Just like the RS200, it never really got going and found success, although many privateer teams have ran the 6R4 for decades after with some successes. Of course, I could have picked any number of cars from any era, including the more modern Subaru Impreza or Mitsubishi Lancer, which both deserve honorable mentions. 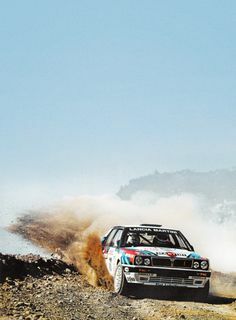 But the older classics are where rallying got really serious with some big horsepower, where the driver needed to tame his nerves before taming the power … these cars needed driving, not just piloting. You should also remember that a number of these cars have also had success on the legendary Pike’s Peak hill climb, and that kind of puts them in to perspective – yes, they’re a bit old and long in the tooth now, but with many of them still being driven or competed, some with even more ludicrous horsepower, it shows you just what they were capable of 30+ years ago. For me, the best time in rallying was back in the Group B days, and if you’re a rallying fan, I’m pretty sure you’d agree with me. These cars were outright dangerous, too much horsepower and not enough crowd control was always going to end in disaster, and it did on more than one occasion.